All this week at Etaples, volunteers from the “Bons Z’Enfants”, an association dedicated to maintaining local traditions, will be hard at work preparing for the 21st annual “Hareng Roi”. To find out more about their preparations, take a look at the Hareng Roi website where you’ll learn about the enthusiasm and energy that goes into the production of this traditional festival celebrating the historic importance of the annual herring migration to the port’s fishing fleet.. 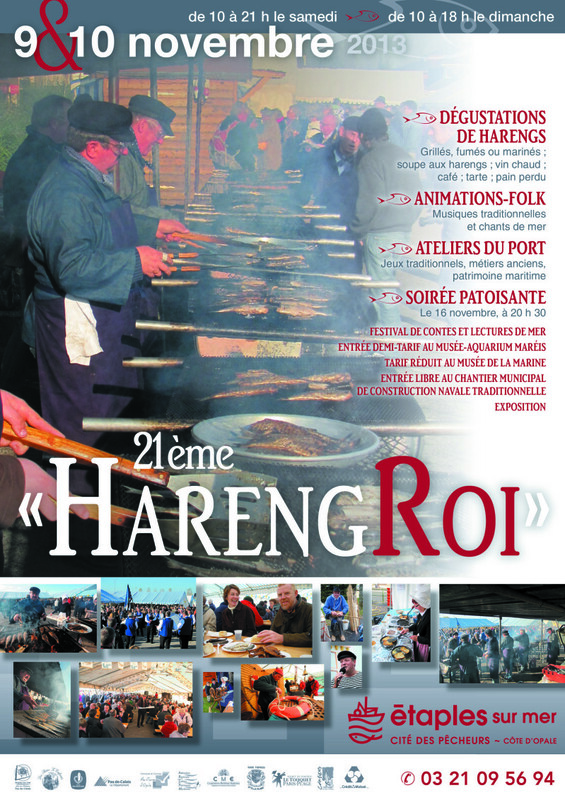 If you are looking for something interesting and entertaining to do next weekend, the Hareng Roi at Etaples is our suggestion. You’ll be tempted by the aroma from the outdoor barbecues where the herrings (smoked, marinaded or plain) are char-grilled to perfection by salty looking mariners in traditional seagoing fisherman’s garb. 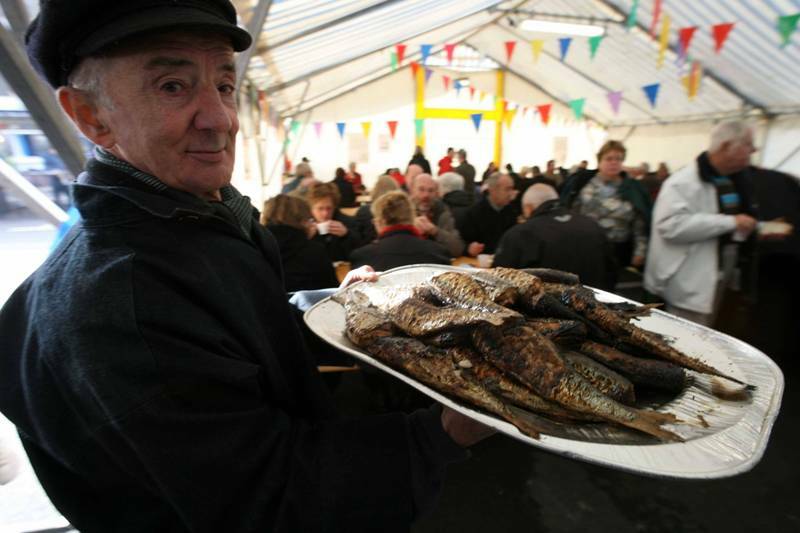 Meanwhile the ladies of Etaples, in traditional costume complete with lace headresses, cut baguettes and prepare and serve fish soup, tarts, tartines, vin chaud and other accompaniments to the famous herring. The meal is taken under cover of marquees, sitting at long communal tables, mixing with other visitors to the town, while entertainment is provided by singers and bands playing music with a nautical theme while dressed in appropriate costume. The cost will come to between 5 and 10 euros a head, depending on how much you want to eat and drink. You would be hard pushed to find better value for a satisfying meal and an entertaining outing, anywhere. There’s also an exhibition area with a wide variety of art and craft work on show, as well as demonstrations of maritime ropework, lace headress making, model boat making and other traditional local activities. Some of the stalls sell local cheeses, jams, biscuits, etc. The quayside at Etaples is a very buzzy place to be during the Hareng Roi and it’s well worth a visit even if you don’t intend to eat the delicious grilled fish.